NimbleX: The Diet Slackware - The word “nimble” is an adjective that means quick and light in motion. 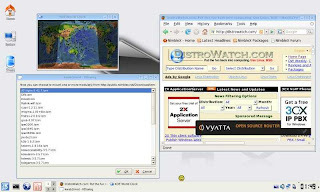 It is also a quality that the young NimbleX Linux distribution is boasting. Based on Slackware, the grand daddy of all distros, its main goal is to provide the latest and greatest open source applications to those who have lower-end computers. 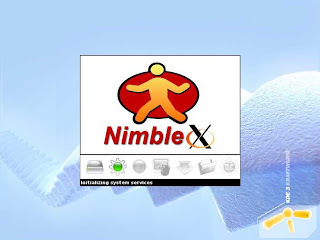 NimbleX is developed in Romania by Bogdan Rădulescu, and is available in either English or Romanian language interface. Being based in Slackware, it uses linux-live scripts with the advantage of having thousands of available free software packages. NimbleX is not yet ranked among the top 100 in Distrowatch. 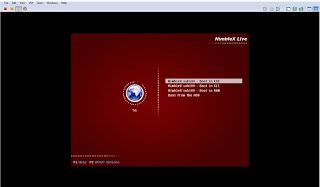 The NimbleX sub 100 version Live CD is only about 100MB in size, thus the name. You can download it directly from here. It doesn’t come with a complete hard disk installer but it is possible to install it manually by following these instructions. A USB installer can be found inside the home directory. They said that it can also be used as a hard drive installer but I tried it without having any success. I didn’t have the luxury of time to install NimbleX manually, but anyway it really is unnecessary as I’m still testing it yet. I was impressed at how NimbleX managed to pack a good looking KDE desktop inside its diminutive size, and made it so responsive that I feel like I’m using XFCE. I tried switching from one screen resolution to another without having some problems. The default theme and wallpaper is fine coupled with few extras. Other eye candies like boot splash and start-up splash screen images are quite pleasing so I would say it was a praiseworthy job by the artwork team. 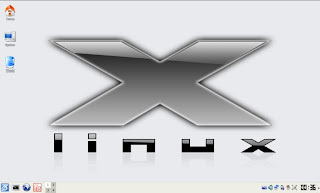 There are good amount of software installed by default including Xine multimedia player, Guarddog firewall, Kate IDE, Konqueror web browser, a CD and DVD burner, Gimp image editor and plenty more. I was surprised though that it didn’t have Firefox, but I did successfully added it using Kweb2mod as you can see from the screenshot. 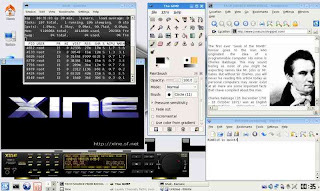 Kweb2mod is an experimental program that will mount application modules live and direct from the the NimbleX repository. While not plenty, the repo contained essential software like Java Runtime Environment and OpenOffice. NimbleX is fairly stable in my VMWare testing environment and it really is fast for a KDE desktop. The only understandable slow time I had was when mounting program modules from the web. But once mounted, the opened application will run fast enough for functionality. I must admit that I still have to test it for a much longer period of time to really judge its stability; maybe later on the old laptop. I will just keep an update on that. The NimbleX distribution has a prospect and is on the right track to be popular. It gives hope to those who maybe are still using Windows 98 today due to their ultra low-end computers; and for goodness sake please burn that rubbish OS. All things considered, I find NimbleX really easy to use but I will recommend it only to novice users for the lack of automated installer. NimbleX is true to its name and is definitely worth a try. It is without doubt one of the fastest Linux distributions available today. #UPDATE: I have already tested NimbleX on the old Prestigio 109 laptop with 1GHz VIA Nehemia processor and 256MB of RAM; sad to say, it failed miserably. When I chose the normal boot option which is to KDE, the system freezes and I have to hard reset the laptop. Command Line Interface (CLI) mode is the only thing that worked and when I try to login to KDE via CLI there was an X server error. I tried every boot parameter options but without any success. I didn’t want to dig in anymore to find out what’s causing the problem. It’s the job for the developers to figure this out and somehow improve their hardware support; but I don’t want to assume yet that it is poor in this department. I still want to hear those who have also tried NimbleX. I also find nimblex fast. I have used it on my old P3 computer but I still can't figure out how to install it. The 198MB version (2007v2)did install very nicely onto my 512MB usb drive. This distro is very nice, and I will definitely keep using it. Your review says "It doesn’t come with an installer yet..."
If you look in your home directory, you will find the installer. It worked well for me as I installed NimbleX to my USB flash drive. @Scott, It is only a USB installer and not a complete hard disk installer with Grub. It's because hard drive installation is not yet stable in NimbleX. I really don't know what the point is of posting a review about a super light-weight distro meant for older hardware by testing it on a 3.4 GHz PIV in VMWARE. I would be much more interested in the conclusions if he tested on a PII with 64-128 of RAM, which is what most folks looking for a distro like these will be eyeing. This is a good review but I would like to know how NimbleX will do on the old laptop. I'm also planning to use it on my old machine. Pls keep us posted. Thanks. If you want a lightweight distro, you should try Zenwalk. (http://zenwalk.org) This distro is also based on Slackware, but uses xfce. KDE is too slow on real old hardware. Zenwalk also has its own repo, and have matured well over several years. @ kh. Now that's old. Pls. give me a feed back as soon as you have tried the nimble. I installed NimbleX sub100 on my 600MHz laptop with 256MB RAM and it's lighting fast. The USB installer worked great for me to put it on the 8GB HDD. PCMCIA Wireless worked like a charm and everything. 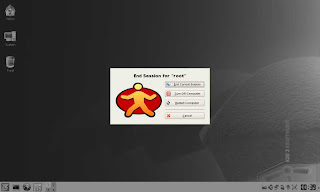 Now it's my main OS. You guys have no idea what old is. I have a completely usable, hand crafted, pared down RedHat system on a 100 MEGA byte hard drive. That's 80MB for the system and 20MB for swap. The processor is an AMD 386SX at 40MHz with 16MB of RAM. It runs an X server with fvwm, no KDE, no GNOME, but is plenty fast as a display server, code editor, etc. ...and moving up a bit from the 386, I've been running Nimblex Sub-100 booted to RAM from CD on a Dell 1GHz PIII w/ 521MB of PC133 RAM, with the KOffice and KDE Games modules added from a USB drive. (I usually run a HD install of Ubuntu Feisty on this system.) Nimblex in RAM on this particular PC is fast, and I like its polish and feel. (It's funny - for full-on distros like Ubuntu I prefer Gnome, but for lighter ones mostly for browsing and simple games I like KDE-based distros like Nimblex and SLAX, even over those with lighter desktops like DSL or Puppy. Dunno why.) Anyway, I'm impressed with Nimblex Sub-100. What is wrong about testing an OS in VMWare? A lot of great linux reviews have also tested some distros on VMWare. KDE or Gnome are Desktop Environment. These are bloated GUI and don't ever consider running them on old machine like mentioned above. If you want a decent X-windows GUI on those old machines use a window manager like Fluxbox. You can try Slax Popcorn Edition or RIP Linux. These two livecd are both Slack based and have Fluxbox with them. If you want to install it to your hard disk try Zenwalk core edition plus X + Fluxbox. You need to make your hand dirty to make Fluxbox beautiful by tweaking its configuration. This is not for newbie. Well, running GNU/Linux on old machine are for hackers only. how to make your customized nimble x modified and to change the linux into your own personalized name? ?